But I needn't have worried! A few days after my order I received a very large box, clearly labelled 'this way up' (and it was!) and safely packed inside the box was a very large orange tree. Isn't it beautiful! 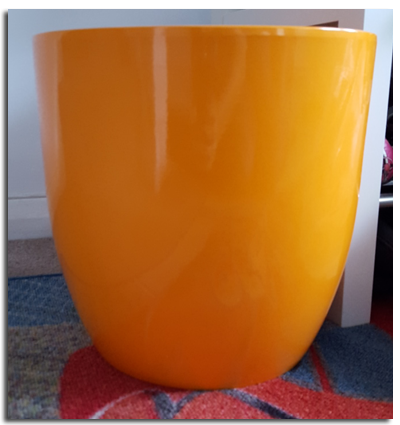 A tree this lovely deserved a very special pot and I was pleasantly surprised to see this lovely orange pot for £11 at B&Q - half the price of other pots of its size! I may have added a little bit of decoration around the base for extra loveliness and we found the perfect spot for the tree in a sunlit corner of our dining room. The tree, as you can see, is in good healthy order, no dead leaves or branches and comes with a little label to explain how best to look after it. 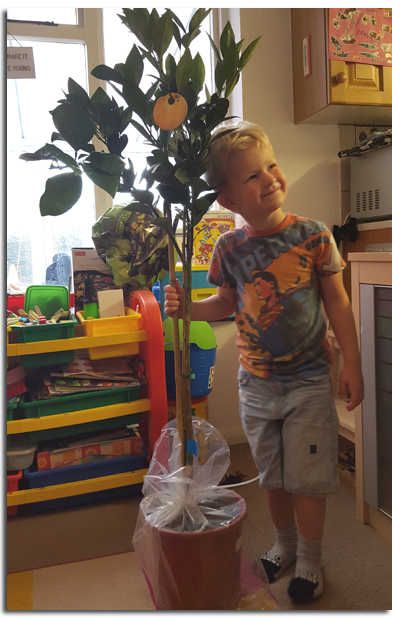 Overall I am very happy with the service and product provided from Dobies of Devon, the website is very easy to navigate around whether you want trees, flowers or even equipment and as mentioned before the delivery is very quick. 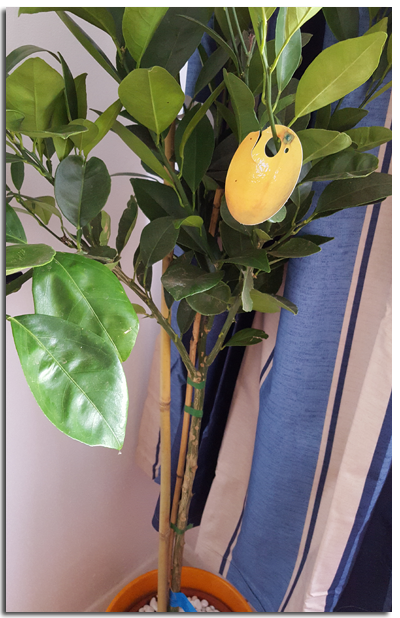 Why did I choose an orange tree? I don't have the greenest of fingers to be honest - unless we're talking Hulk mode - and that's a whole different story! But the Orange tree is hardy, will produce fruit within 18 months and best of all will produce strongly scented white flowers - this I'm rather excited about as we've just started seeing the first buds appear this week! Who doesn't love the natural scene of flowers in a room? 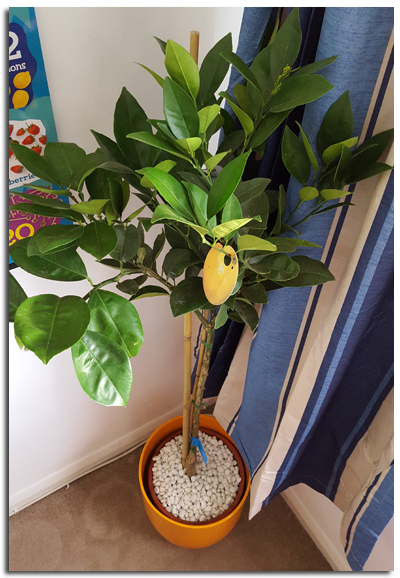 Disclaimer : I received an orange tree from Dobies of Devon to review.